Sometimes, you may find yourself wanting to create descriptive and fun page names. For example instead of calling your page "about me" you may want to call it "Hey, I'm Joe". However, when you preview your page, you may notice that your URL looks strange and contains special characters. URLs like that are actually bad for your website's SEO optimization. SEO optimization is important because it improves how your page ranks on search engines such as Google. 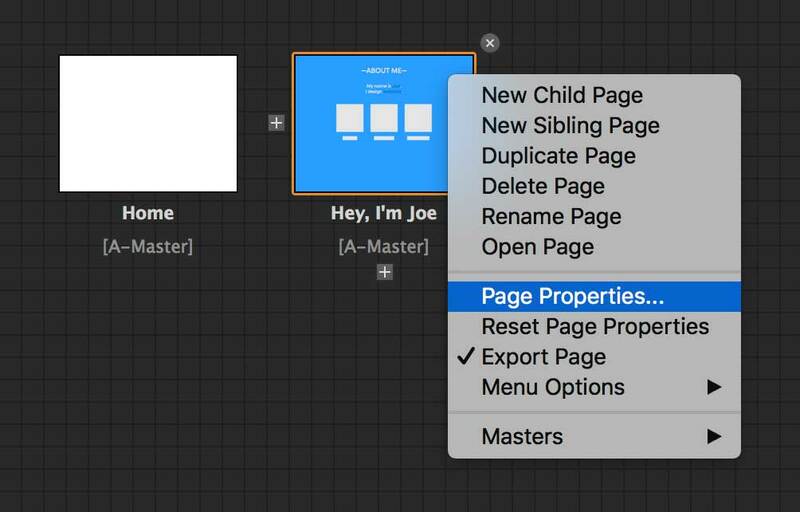 By making a few quick changes, you can keep your page name the same in Muse while changing the URL that shows up on your site. Right-click on the page that you want to change the URL of and click on Page Properties. Go to Options and go down to the Same as Page Name checkbox below Filename. Uncheck it. Type in a new filename that is descriptive for your page so that you can increase your site's SEO rankings for Google. Keep the filename simple, only use lowercase letters, and avoid spaces and special characters. In this example, we're going to use "about-me". Preview your page. 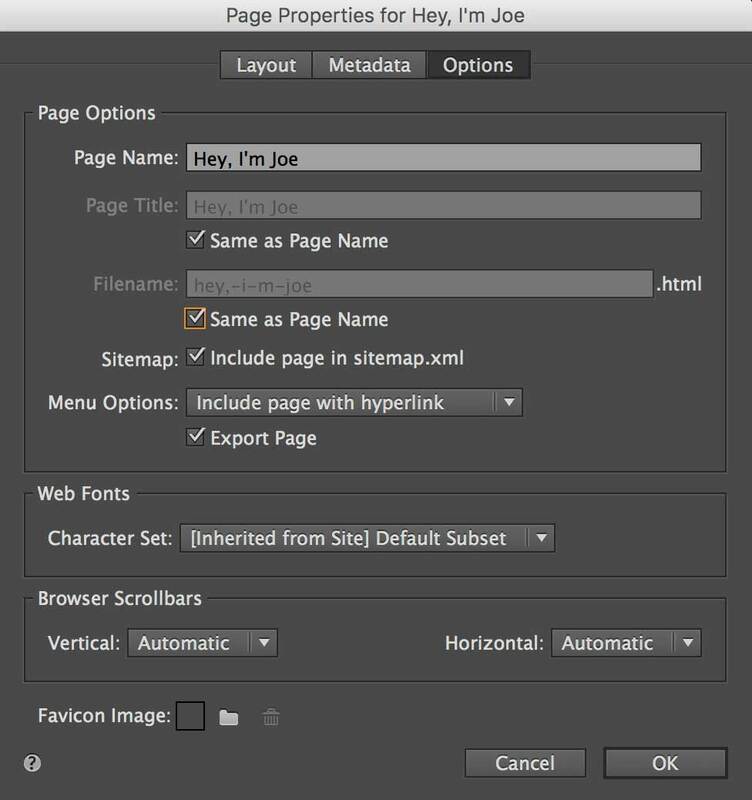 The title "Hey, I'm Joe" will still appear on your tabs when people visit your site. And now, the URL is clean and SEO friendly. How can I edit the content inside the lightbox? How can I install Muse widgets? How can I download my Template or Widget?